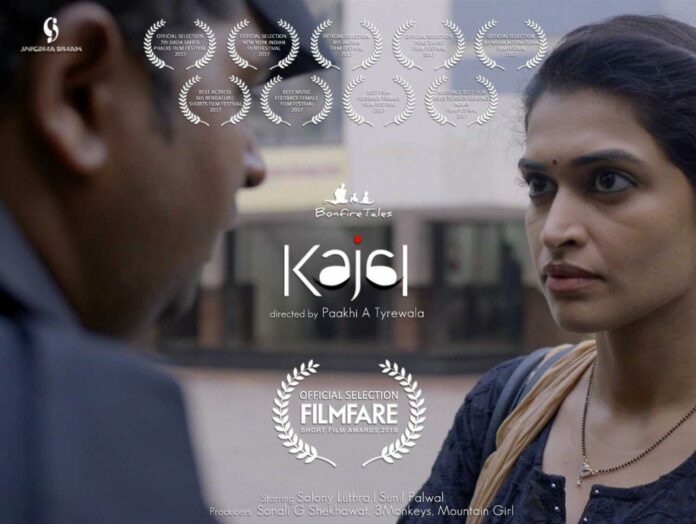 The Paakhi Tyrewala’s directorial debut KAJAL Short Film which premiered at various international film festivals and received immense praise and appreciation for its hard-hitting portrayal on the issues increasingly faced by women in our society has won the Best Film from Rajasthan Award at the 10th Jaipur International Film Festival (JIFF) 2018. The film which has been appreciated for leading actress Salony Luthra’s exceptionally discerning portrayal of a young woman’s journey consists of an all-female crew and also celebrates the #MeToo campaign by highlighting the bullying that women face at the workplace and at home and the women standing up to this constant harassment and fighting it. Salony Luthra Says, “To see your hard work being appreciated world over is a feeling I cannot explain. I feel truly blessed to be associated with ‘Kajal’.” ‘Kajal’ had also recently won the Best Film Award in the Short Film category at the 17th edition of ‘River to River Florence Indian Film Festival’ besides being nominated at various film festivals.